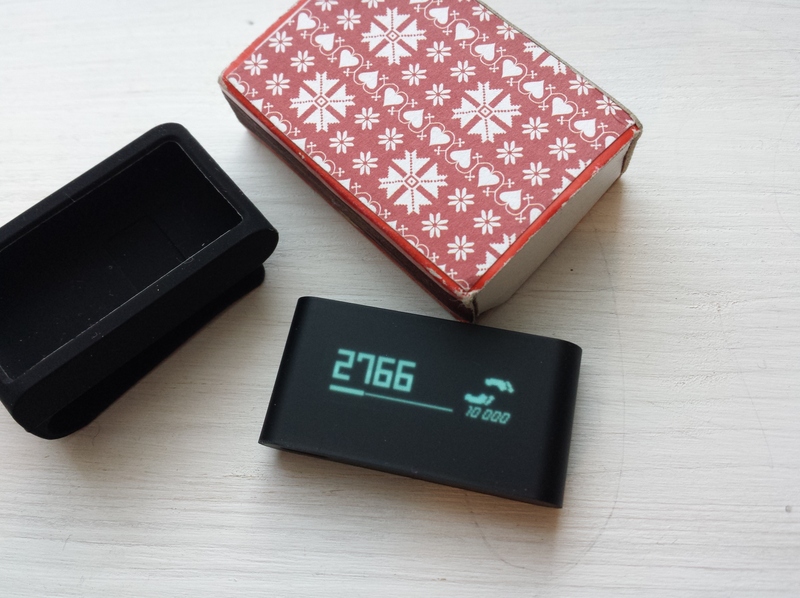 Pictured: Withings Pulse device, smaller than a third of a matchbox. – I have had my doubts about the “Quantified Self” movement (or just a vogue), but there are also some promising aspects in the concept of increasing information and awareness about your health and fitness. The obvious downsides include the potential for increased self-focus, obsession, stress, and data deluge. The (gamification-style) counter-argument is that when you get clear and immediate feedback on the relevant aspects of your life, it becomes more motivational, and it becomes easier to cajole yourself into doing stuff that you’d really want to do, in the first place. Withings Pulse is the device that I am testing at the moment. Small, 8 gram marvel of miniaturization, it has sensors to measure movement, elevation, acceleration and many similar things — it even has a heart rate monitor that can be used to capture heart beat values every now and then — and connects via bluetooth to the smartphone app few times a day so that you can get nice, illustrative graphs and stats from the free Withings app. Withings is one part of the mushrooming new health data industry, with scales, blood pressure monitors, baby monitors as well as activity trackers in its connected-devices ecosystem. For a user, the crucial question is how well the supposed use style of these smart things actually fits with one’s lifestyle. Simply carrying the passive measuring device in your pocket is not too much a burden, but in order to fully benefit from this technology, one really should regularly start and stop the sleep recorder, step to the smart scale for body monitoring, then remember to set the relevant apps and sensors in the correct configuration, depending on whether one is following a particular training program, or just tries to see how many steps one takes during a regular working day. It is perhaps too early to say how mainstream these technologies will become, in the end. But I see signs of a science-fictional future emerging: one where we are constantly getting readouts about the (previously pretty opaque) internal doings of our bodies, and personal health assistants alarming us in good time before any life threatening issues have time to develop. It is important also to keep track on how the individual freedom, protection of privacy and the voluntary character of such, highly sensitive data collection will work out in the future “culture of transparency”.